MICROSOFT HAS DITCHED THE MODEL NUMBERS WITH ITS 2017 SURFACE PRO BUT HAS IT ACTUALLY CHANGED MUCH OF THE UNDERLYING DEVICE? 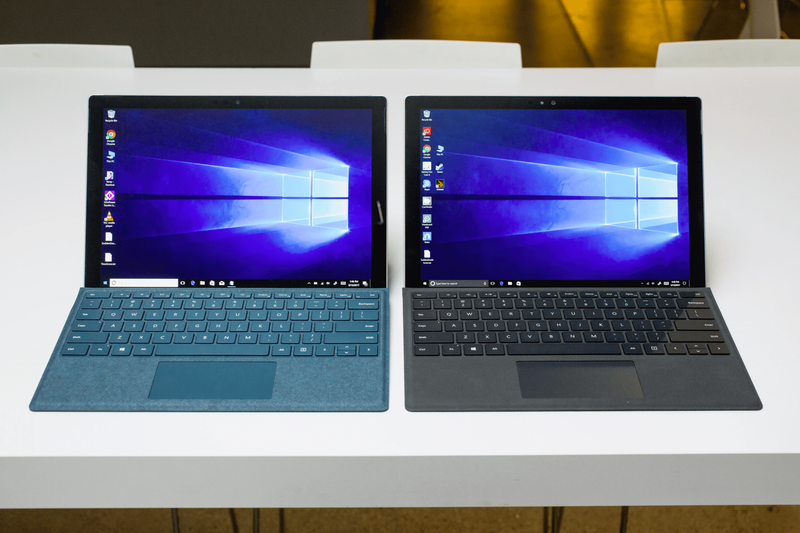 THE SURFACE PRO has been endowed with a full motherboard redesign, a larger battery, an updated Intel CPU and a reconfigured thermal design… but when you sit the new Surface Pro next to its predecessor, it’s rather difficult to tell them apart. 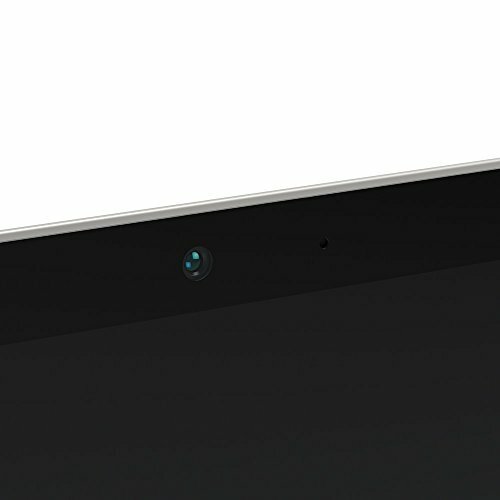 While their similarities might make the 2017-edition Pro seem a little dull against the trans-formative changes of earlier iterations, it actually reflects an element of maturity in the product line and highlights that the Surface Pro’s precisely honed feature set only needs subtle tweaks to make marked improvements. 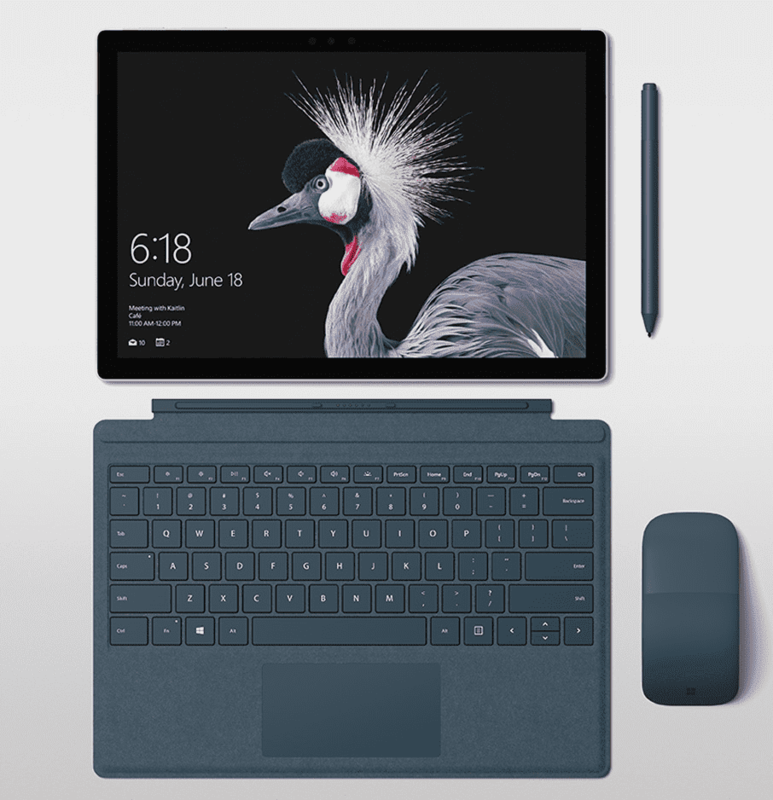 The Surface Pro sees the return of the 12.3-inch, 10-point multi-touch display at the same 3:2 aspect ratio that the entire Surface family shares. This vibrant 267ppi screen offers a higher overall resolution than most of today’s premium laptop and pro tablet offerings. Other than the screen and physical ports, almost everything else on the tablet is new. The most distinctive design novelty is the recessed fan grill that takes a more subtle form and increases the curvature of the tablet’s edges, and does so without compromising airflow. The 1080p 5MP front and 8MP rear cameras have been colored to blend into the bezel and magnesium chassis better, and the hinge has been totally re-engineered to reduce the number of components and increase the display viewing-degree range. The Surface Pro gets better performance and battery life from its CPU update, and most models are now fanless. The excellent kickstand is even more flexible. Minimal redesign leaves out USB-C and Thunderbolt options. The Surface Pen stylus is no longer included by default, and new keyboard covers are more expensive than ever. Still not great for lap use. The Microsoft team has highlighted the fact that it’s focused on bolstering the hardware reliability of the Pro. Top of that list is a motherboard revamp that accommodates the three seventh-gen Intel CPU variations the Surface now comes in (Core m3, i5 and i7) and also freed up an extra 10% of space for the battery. Microsoft says this combination allows the unit to have up to 30% greater battery life than the Surface Pro 4. Of course, your real-world mileage will vary, depending on what task you’re undertaking — in our tough PC Mark Home (Accelerated) battery test, the new Pro managed 4 hours and 23 minutes on compared to the Pro 4’s 3 hours and 48 minutes, a difference of about 15%. Microsoft has also rebuilt the entire cooling system by transitioning from copper thermal pipes to a graphite composite and increasing the number of heat sinks from one to four. This allows the Core M and the i5 models to come without fans and for the entire Surface Pro range to apparently reduce surface hotspots, draw less power and hopefully put less strain on the components over time. 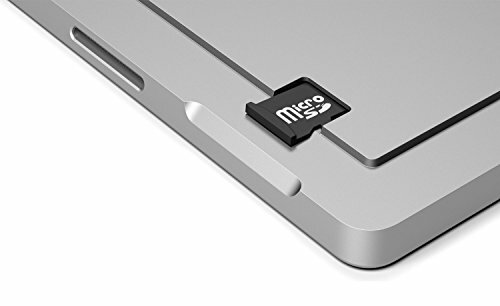 Considering all the futureproofing done to the Pro, we were a bit perplexed to see that there’s no inclusion of the nearly-ubiquitous USB Type-C port, instead sticking with the same array of keyboard-cover connector, power input, USB 3.0 Type-A, microSD card reader, mini-DisplayPort and 3.5mm audio jack. 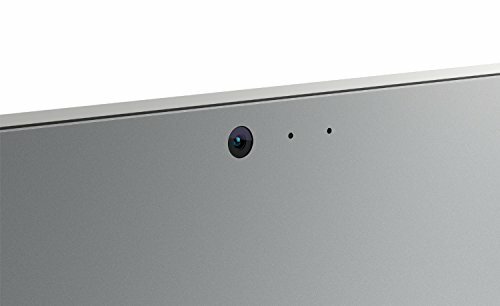 There are plans to release a Surface Connect to Type-C adapter later in the year. There are still some broader caveats for users opting for this ‘tablet as powerful as a laptop’ option, the most notable being the low performance-to-price ratios involved, relative to laptops. That means that, although the Surface Pros can still deliver bleeding-edge performance, you’ll have to pay for it. With three CPUs on offer, performance will depend on the Intel Core m3, the i5 or the i7 model you purchase. Additionally, 4GB, 8GB and 16GB RAM configurations and 128GB, 256GB, 512GB and 1TB storage options are available locally. The Core i7-7660U, 16GB RAM, 512GB Samsung SSD configuration we tested performed almost as well as the latest iPad Pro on GeekBench 4, with respective scores of 9,296 and 9,290. Against Windows-based machines, this top-end Pro does particularly well, too, even when compared with premium laptops like the similarly specced Toshiba Portégé X20W-D which scored 3,277 on the PCMark 8 Home benchmark to the Surface Pro’s 3,557. With a PCMark 8 Creative score of 4,550, it has more than enough horsepower to run Adobe’s demanding Creative Suite. In storage read speed testing, the new Pro’s PCIe-connected SSD scored around 10% better than what’s in the Surface Pro 4, and made very considerable headway on sequential write speeds, too, which jumped from 291.3MB/s to 977.6MB/s. This solid performance is part of what keeps the Surface Pro ahead of the now-abundant tablet-leaning 2-in-1 competition. However, in its attempt to push the parameters of tablet performance, Microsoft may have flown a little too close to the sun with the i7 CPU it’s used. When pushed with CPU-heavy tasks like media encoding, the highest-specced Surface Pro’s Core i7-7660U chip reaches the CPU’s technicaly maximum temperature of 100°C. For more general tasks, we found that this didn’t cause performance problems, but if you are considering a higher-end unit, be wary that the physical constraints translate into speed limitations, and when they reach that top temperature, the i7 CPUs will start to throttle performance and won’t always perform at their full potential. Sound output via the built-in speakers has received a decent improvement over earlier iterations, adding noticeably more bass to create a richer stereo soundscape. 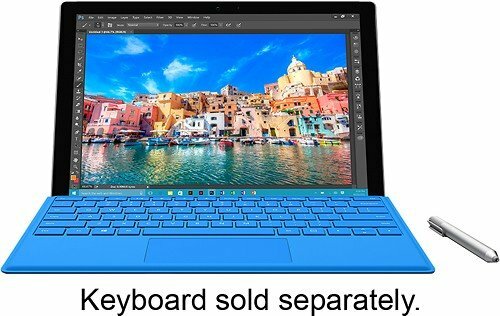 Although all 2017 models are Wi-Fi only at present, Microsoft did announce plans to add LTE, SIM and eSIM compatible Surface Pro units to the lineup later in the year. With regards to accessories, the new Signature Type Cover keyboard adds LED backlighting, an even silkier glass trackpad and uses the synthetic material Alcantara for a soft, velvety palm feel. 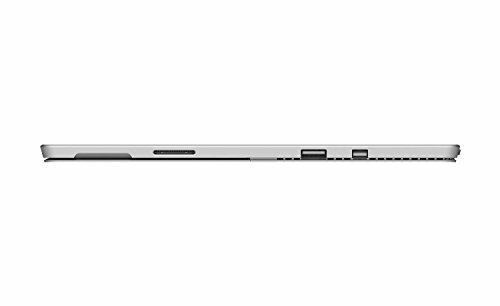 The Surface Pen sees an even more dramatic boost to its feature set, with four times the pressure sensitivity levels of its predecessor, added tilt sensitivity and a more sensitive initial contact threshold. These upgrades are, great but when neither come bundled with the Surface Pro, you’ll have to add $ to the total price if you want both. We weren’t thrilled with the high temps and throttling of our test model’s Core i7 CPU (which is apparently still a little too much chip for a thin tablet form factor), and we’re hoping the problem doesn’t extend to the Core i5 units, but since the latter ditches the fans altogether, we’re expecting they don’t. We’ve requested a Core i5 review unit, so hopefully we’ll be able to confirm that in an upcoming issue. 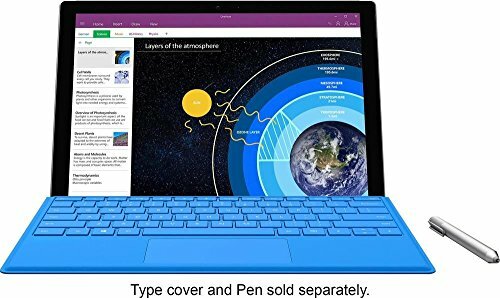 All things considered, the Surface Pro is an exceptionally powerful device in a uniquely versatile and compact form factor. 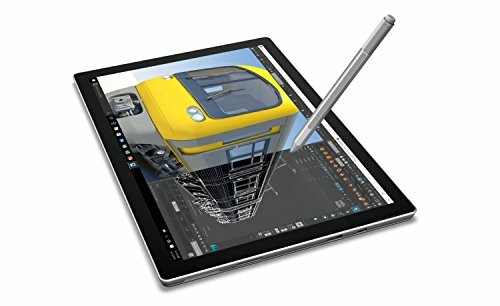 If you don’t want or need the touchscreen, you can likely find better value in a laptop, but if you’re after a terrifically ultraportable Windows device with a stylus, then there’s still no better alternative to the Surface Pro. Windows delivers comprehensive security - including anti-virus, firewall, and anti-phishing technologies - for the supported lifetime of your device; Surface pen sold separately. Microsoft’s flagship Surface Pro gets an extremely conservative update, but better battery life keeps it the gold standard of Windows hybrid PCs — for now. Microsoft's flagship Surface Pro gets an extremely conservative update, but better battery life keeps it the gold standard of Windows hybrid PCs -- for now.